Here are just a few highlights of our orthodontic practice that set us apart! Our team will deliver care tailored to your specific needs. We want to make sure that we offer you the most conservative approach to your treatment. For us, it is more than creating your beautiful smile—it is about getting to know you as an individual and learning about all the things that make you smile. Our team is proficient at all treatment techniques including Damon® Clear™ self-ligating braces, Invisalign® clear aligners, and Incognito™ lingual braces (hidden on the tongue-side of the teeth). In fact, we are the only certified clinic for Incognito in the Abbotsford area. We also have team members fluent in Chinese and Punjabi. At every appointment, you’ll be given plenty of time to receive the care and attention you deserve. We believe in effective communication with yourself, your child, and your dentist. Our clinic maintains high standards for infection control and offers state-of-the-art technology. We offer incentives to keep you eager and enthusiastic about your treatment; we have contests with awesome prizes (eg. Taylor Swift tickets) and you can earn Refine Rewards points redeemable for great rewards! Check out our rewards gallery! Ask our treatment coordinator as to how we may tailor your payment plan to best fit your needs. We have many interest-free options. We are one of the few Abbotsford orthodontic clinics that are open five days a week, and we even offer extended hours and evening appointments for your convenience. This is important if you ever experience an orthodontic emergency. It is important to protect the investment you are making in your teeth. We believe in this so much that we give all our patients with full braces a FREE electric toothbrush to help achieve good long-term dental health! Our new iTero® scanner reduces apprehension regarding impressions and creates a more comfortable experience. We also take digital X-rays to limit the amount of radiation. If you’re interested in faster treatment, we offer AcceleDent® Aura to reduce treatment time. By going paperless, we are committed to reducing our footprint on the environment. All of us here at Refine Orthodontics would like to thank you for choosing our team. We look forward to helping you achieve a smile that you will be proud of! "Refine Orthodontics” and “Care as Unique as Your Smile” are registered trademarks of Dr. Julia Ng Corporation. 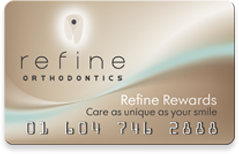 Refine Orthodontics is a licensed user of these trademarks. All other trademarks are properties of their respective owners. 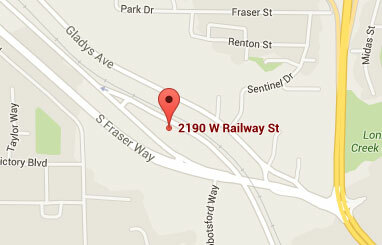 (604) 746-2888 #106-2190 West Railway St.